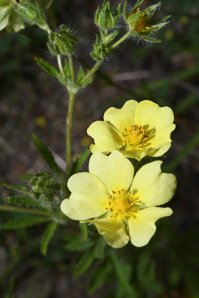 Potentilla recta L. var. 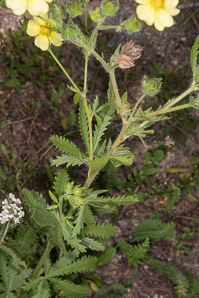 pilosa (Willd.) 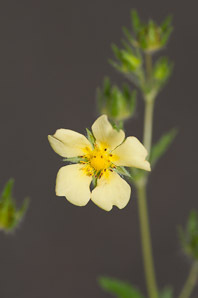 Ledeb. 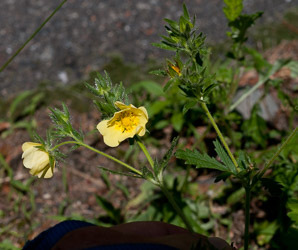 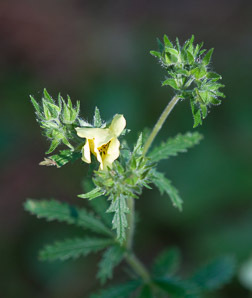 Rough-fruited cinquefoil is a Eurasian native. 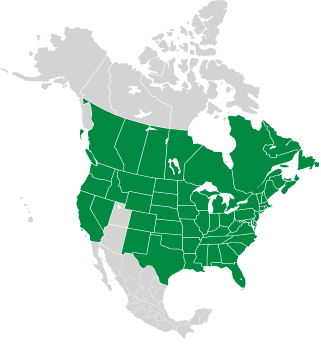 It was introduced to North America prior to 1900, and it has become widespread. 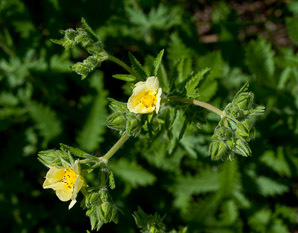 It is considered a noxious weed in some localities. 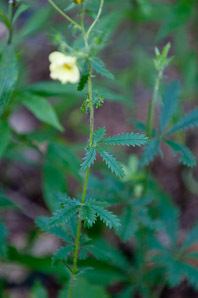 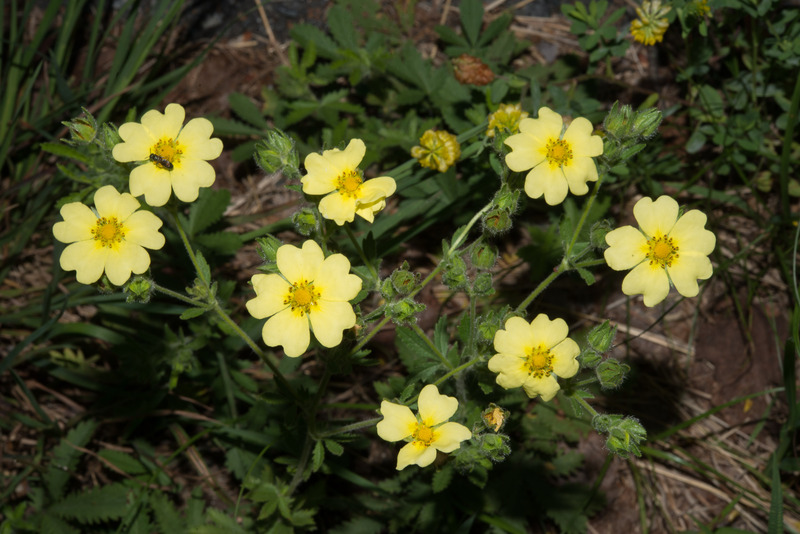 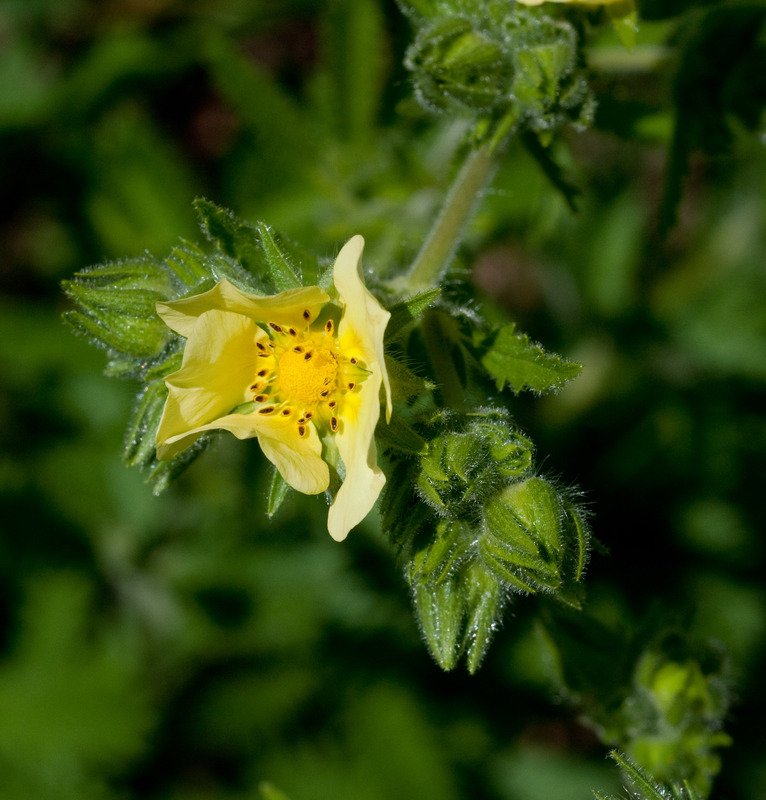 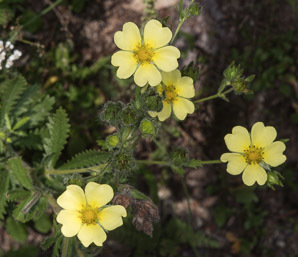 This cinquefoil is found in grasslands, shrubby areas, open forest, roadsides, abandoned fields, and waste areas. Potentilla recta description by Thomas H. Kent, last updated 2 Jan 2019.